(Above) are all the tests we have available to TEST for. 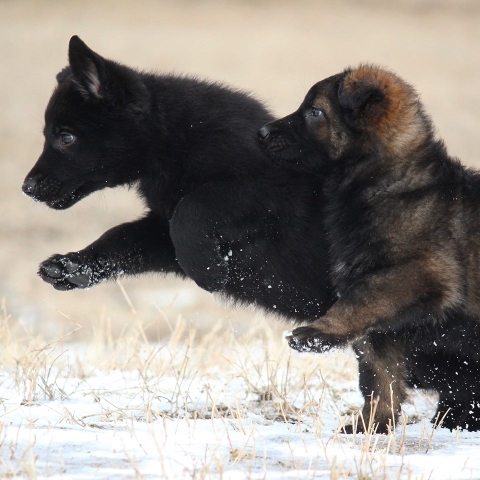 Our German Shepherds are all tested for the above before they are ever bred or allowed to produce a litter! 1) Jump on any search engine and type in "Degenerative Myelopathy in German Shepherds" and read about it. See if this is something you want to risk your puppy having later in life. 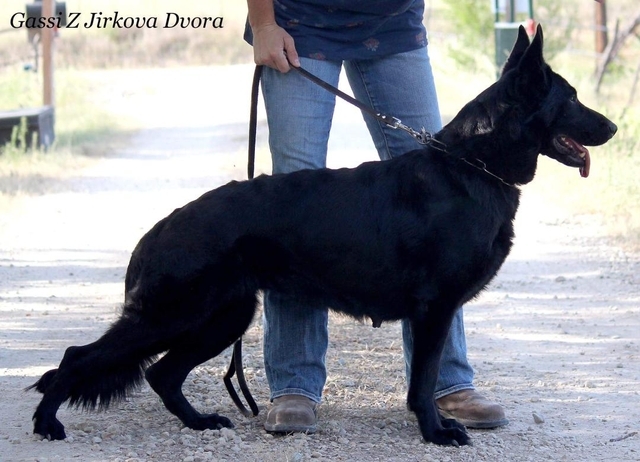 Better known as "DM" this disease is a Death Sentence to any German Shepherd that has it. Unfortunately, many DO NOT test for this disease. We do Test! We breed selectively to help prevent this terrible disease from being produced in our dogs and puppies. We love this breed. 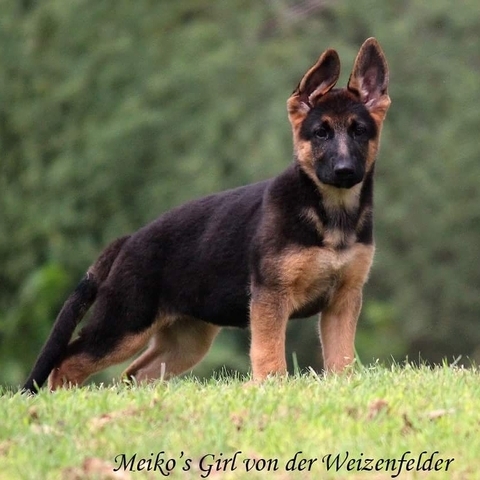 We have been breeding German Shepherd dogs for over 16 years. All of our puppies come with lifetime breeder support. AKC full registration. Micro-chipped and twice vaccinated before leaving into new homes after 8 weeks of age. 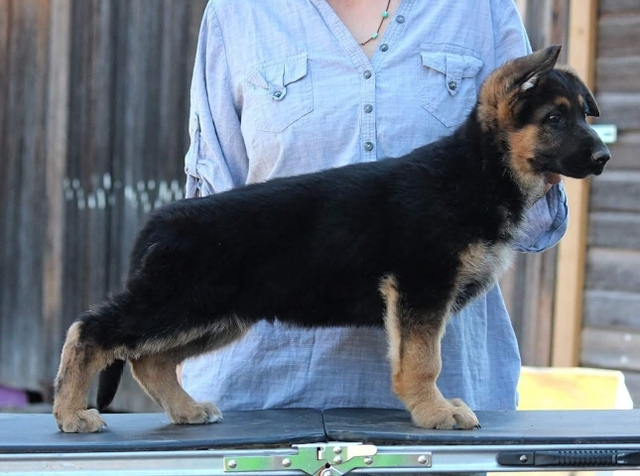 We love all the Lines and Pedigrees of the German Shepherd. Each had it's strong points and some weaknesses. 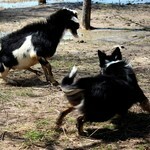 We pair dogs to produce the most healthy, strong and sound in mind and temperament dogs. 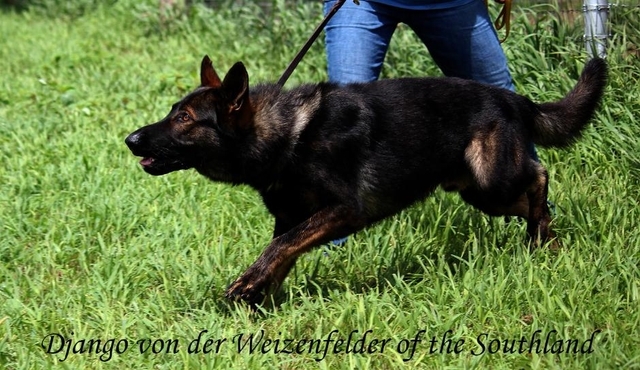 Our puppies are scent detection dogs, SAR dogs, Personal Protection dogs and MORE! 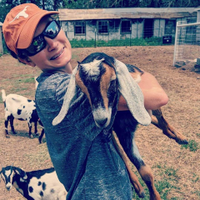 Some have been sold into herding homes and others for PTSD Service dogs. 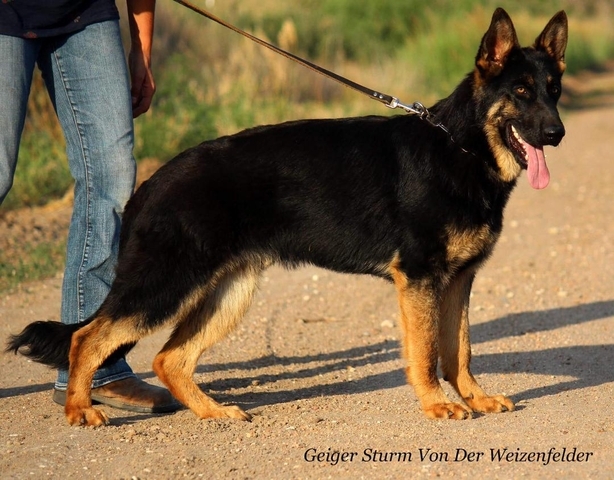 The German Shepherd breed is very versatile. Keep an eye on our website for PICTURES, PRICE, INFO ON LITTERS, PROOF OF GENETIC TESTING DONE ON DOGS, PEDIGREE INFORMATION and more! 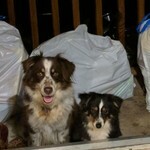 All of our dogs are listed on the www.pedigreedatabase.com so the public can research the pedigree of each dog. As of now, we have the most dogs that have been tested using the Paw Print Genetics Testing in the state of Kansas! WE TEST! We take our breeding program very serious and want you to enjoy the dog you have. NOTE: We also are an advocate for RESCUE. Check out your local shelter or rescue groups first. There could be the most amazing dog/ puppy needing a home super close to you. 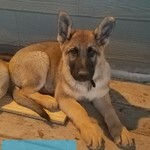 *Pictures posted are of Our Dogs, Past Puppies, Past Adult Puppies and more!